Let us make you sharp! Be sure to visit and "Like" us on Facebook for drop off locations and farmer's market dates! 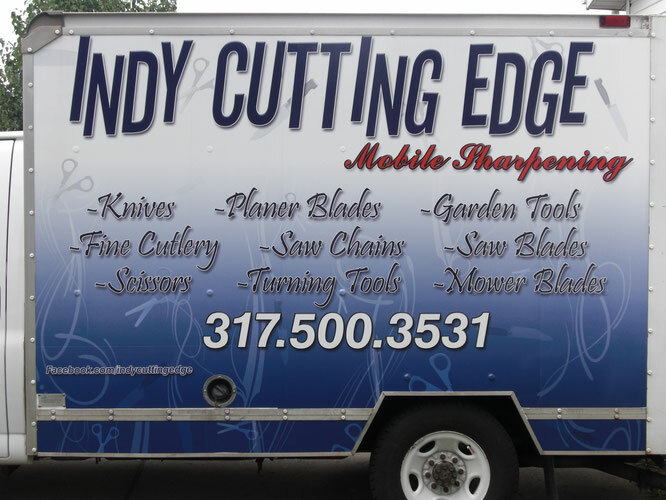 Indy Cutting Edge is a mobile sharpening company based in Indianapolis. We professionally sharpen fine cutlery, home cutlery,salon shears, scissors, and garden tools (including saw chains and pruners). Please see our full listing of the items we sharpen, as well as pricing on our prices and services page. We are also able to accommodate both large and small businesses alike.